Caldera Yachting CEO Yiannis Mattheos. 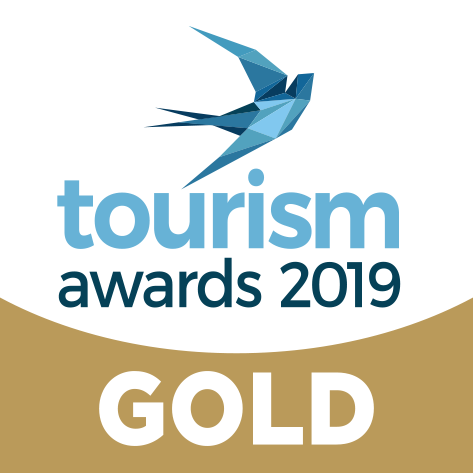 Caldera Yachting was honored with the gold award in the “Sea Tourism – Sailing” category at the Tourism Awards 2019, during a ceremony recently held in Athens. 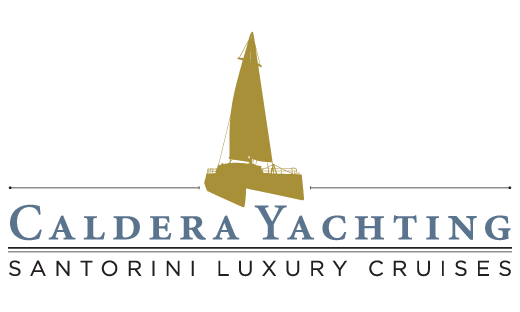 Caldera Yachting has been operating on the island of Santorini since 2009, offering yachting services, and supporting local initiatives and activities which promote the island’s development, social responsibility, healthy standards and sports events. “Teamwork can take you to the top. 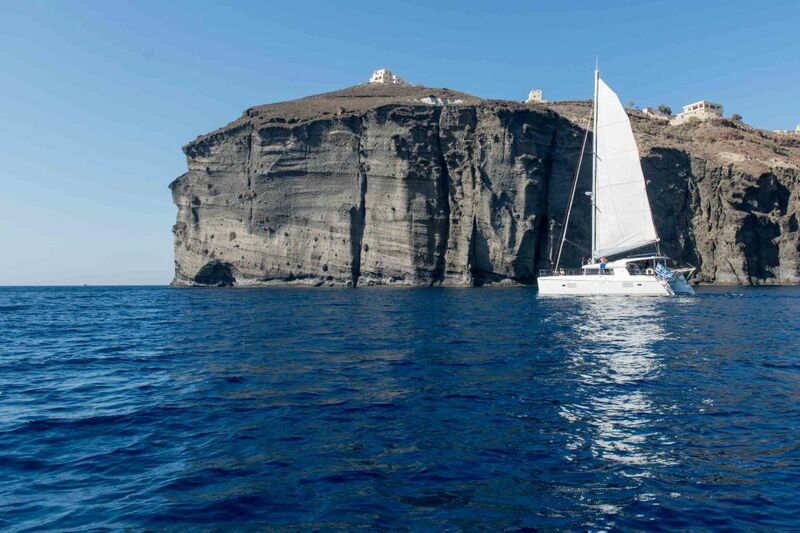 Alone we can do so little but together we can do so much,” Caldera Yachting CEO Yiannis Mattheos said in an announcement, also underlining the significance of the distinction, which is “a commitment but also a promise to continue working and creating experiences for Santorini’s visitors”. 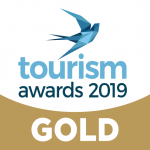 The Tourism Awards event was organized for the sixth consecutive year by Boussias Communications to recognize excellence in the tourism sector. 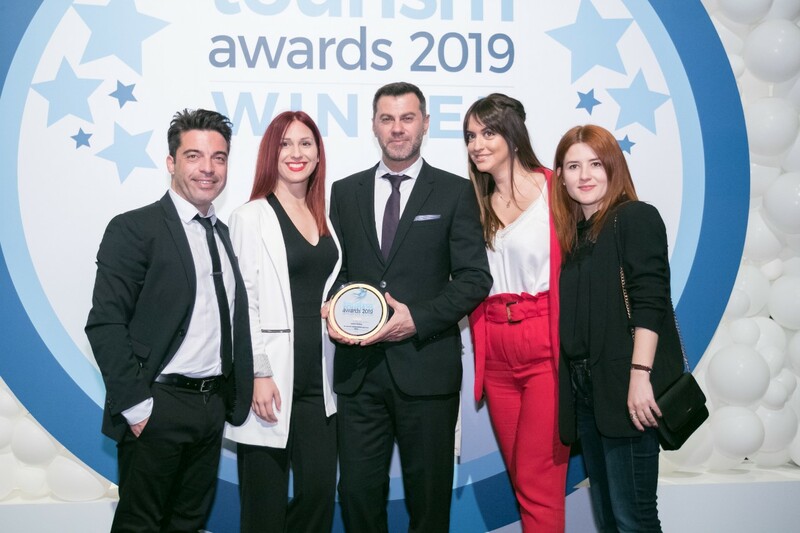 “The Tourism Awards reward and highlight those who are excellent, bold and innovative,” the president of the judging committee Maya Tsoclis said during the ceremony, which was held in the presence of the industry’s senior executives, as well as prominent personalities. Caldera Yachting was honored for the fifth consecutive year at the Tourism Awards. During the previous years, the company has received several gold and silver awards in the categories of “Sailing” and “Customer Service”. Furthermore, in 2017, Caldera Yachting was honored as the “Charter Company of the Year – Global Award Winner 2017” at the Luxury Travel Guide Awards. In addition, it received the Silver Award in the “Best in Luxury” category at the International Travel & Tourism Awards 2018. “All these significant moments are important steps for the company’s continuous growth… Caldera Yachting commits to remain focused on customer service, aiming to offer high-quality services in yachting,” the company said in the announcement.